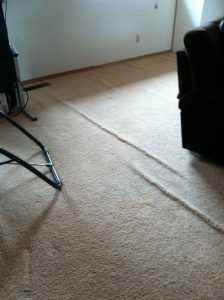 In addition to our cleaning we excel at carpet stretching and repairs. 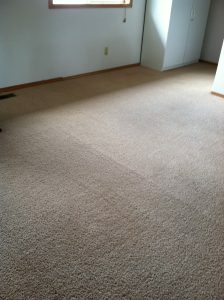 We can stretch the carpet tight again removing any wrinkles or bubbles that have developed over time. We also do an amazing job at many kinds or carpet repairs including resections, transition repairs, row repairs on loop pile carpet, and seam repairs. Results will vary depending on the availability of repair material and severity of the damage. This is an area we enjoy!